The honorary Permanent Expert Analyst of CNN and MSNBC has been taking other people's money for some time now. Celebrity lawyer Michael Avenatti was slammed Thursday with a 36-count indictment by a federal grand jury in California that accuses him of ripping off clients -- including a mentally ill paraplegic -- tax crimes, wire fraud, bank fraud, and perjury. Celebrity lawyer Michael Avenatti was slammed Thursday with a 36-count indictment by a federal grand jury in California that accuses him of ripping off clients-- including a mentally ill paraplegic -- for millions of dollars, shorting the IRS of millions more, swiping millions of dollars in employment taxes from his coffee company, and perjury. 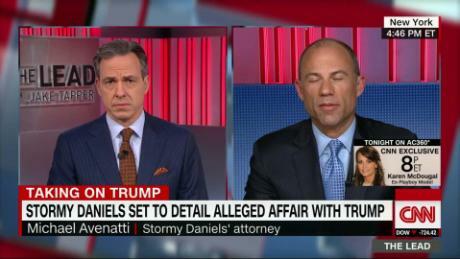 U.S. Attorney Nick Hanna of Los Angeles said that Avenatti's allegedly criminal conduct spanned four distinct areas, which "are all linked to one another because money generated from one set of crimes appears in other sets -- typically in the form of payments to lull victims and to prevent Mr. Avenatti's financial house of cards from collapsing." An IRS official said that the money stolen by Avenatti though "a tangled financial web of lies" was "used to fund a lavish lifestyle which had no limits." Here are the details on how he stole -- yes, straight up stole -- $4 million from his mentally-ill paraplegic client. Read this from LA Times reporter @finneganLAT. He never told his client that the money had been paid, and then, over a series of years, paid out to him a meager $124,000 or so, telling him these were merely "advances" on a settlement that had not yet been paid. This is theft. This is grand larceny. Update: Avenatti presented a signed affidavit from this client affirming that Avenatti had represented him ethnically. The grand jury alleges that Avenatti tricked this mentally-ill client into signing it.